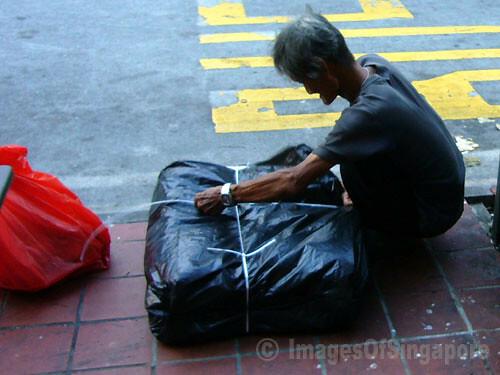 This old man was seen packing up his stuffs probably paper cartons by the roadside in Chinatown. 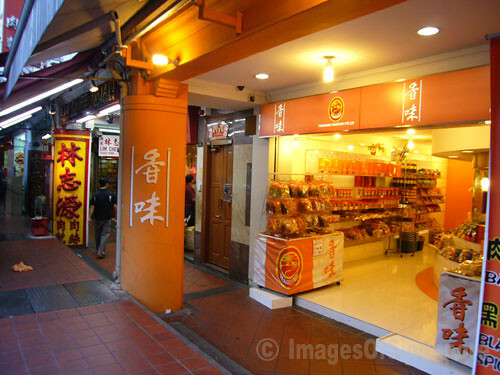 These 2 Bakkwa or barbecued meat shops are located side by side in Chinatown. 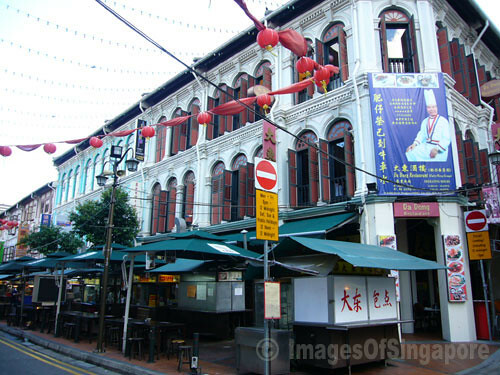 This Da Dong Restaurant is an old icon of Chinatown, now located at 39 Smith Street. 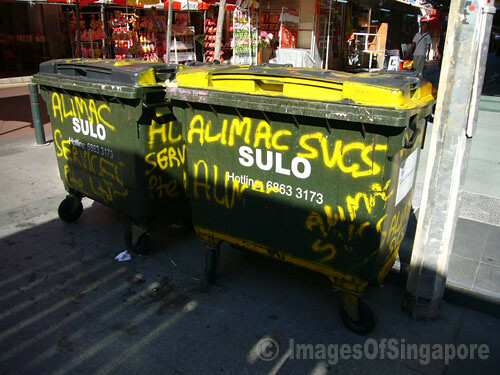 Were the rubbish bins vandalised at Chinatown? Or is it an art? 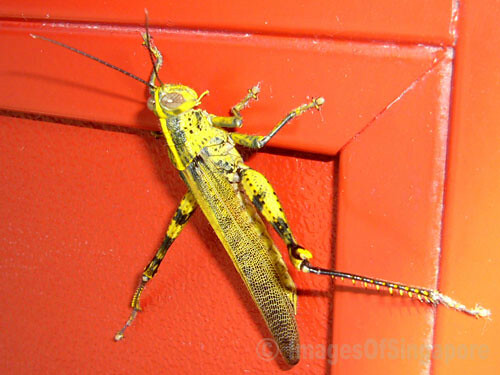 Found this grasshopper at the door of the Buddha Tooth Relic Temple. 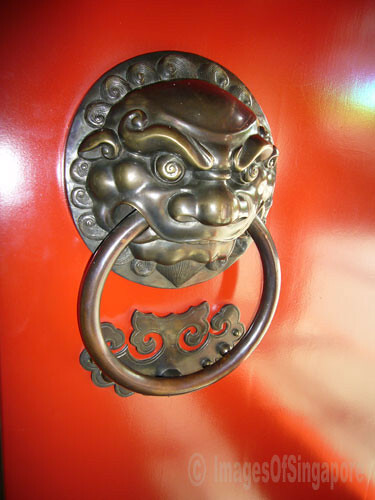 A classical door knocker at the Buddha Tooth Relic Temple door. Is it a lion’s head or …? 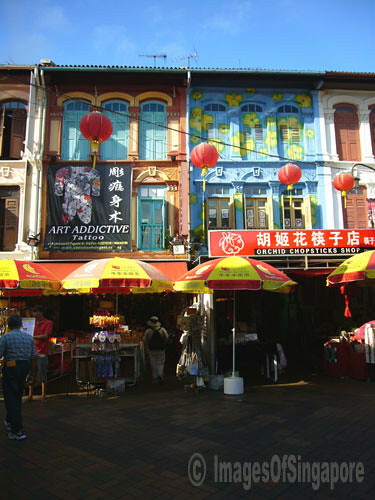 Nicely painted shops at Chinatown.